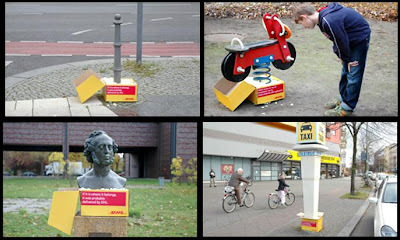 Creative and clever DHL's advertisements from all over the world. 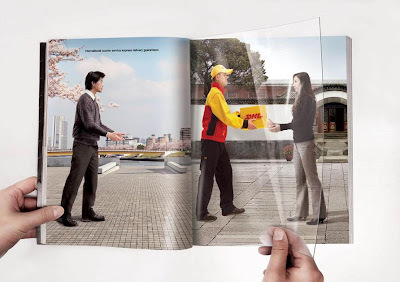 DHL - Turning Page: Clever and innovative use of magazine; a transparent plastic sheet was placed into the magazine with DHL worker printed on both sides. 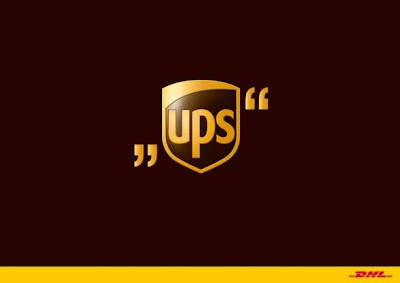 And when you turn the paper the worker delivers the express mail to the customer. 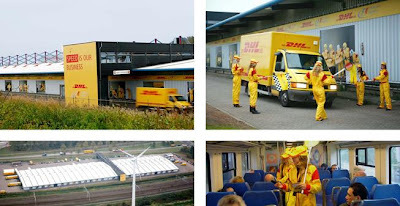 DHL Express - Pit lane: The back of a DHL cargo center in Amsterdam was converted into the biggest billboard in Europe. 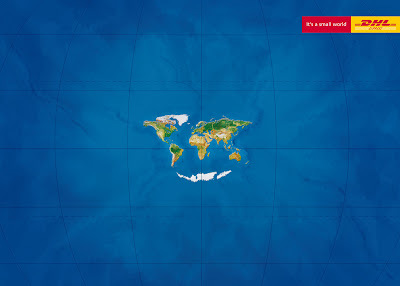 This huge poster measures 196 meters long and almost 4 meters high. 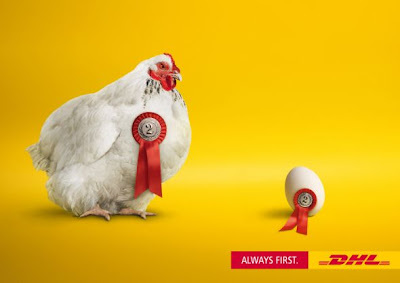 As DHL is the official logistic partner of F1, they made a detailed replica of F1 pit lane. 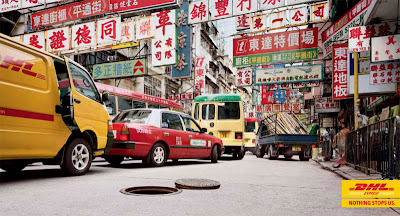 DHL vehicles would drive by day in day out to reach the main entrance of the building. 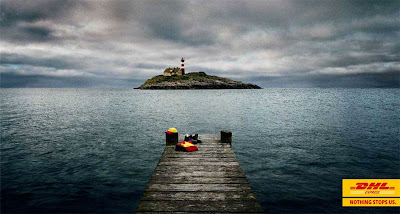 And this would be seen by train travelers from Amsterdam to Zaandam. 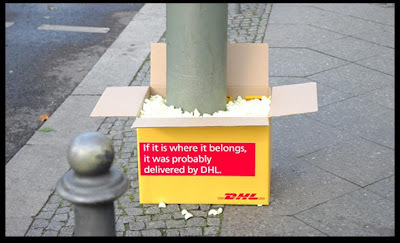 DHL: 'For all your heavyweight shipments'. 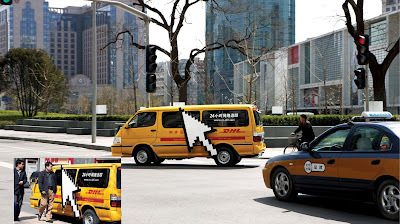 DHL Van: To create awareness for DHL online tracking among the business community, a large white silhouette of a computer cursor was installed on the fleet of DHL's runner vans which shuttles around the central business district. 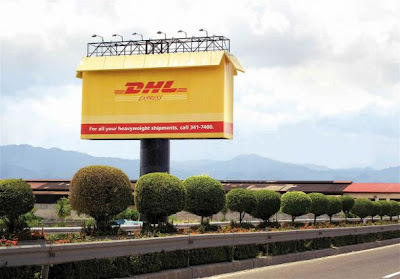 As a result there was an apparent drop in parcel enquiry recorded by the DHL phone tracking system while it effectively increased the usage of online tracking among the customers. 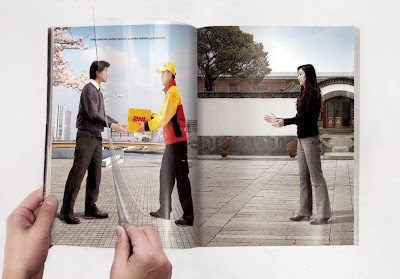 DHL - Tunnel box: To draw attention for the superfast DHL Express service from Asia, DHL provided boxes with a special inlay. The inlay, at the bottom of the box, shows another open box and together they make a long 'tunnel'. 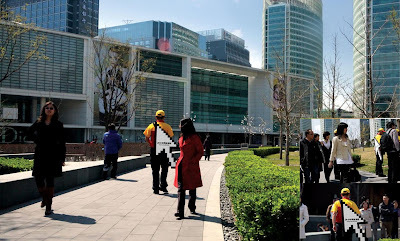 In one version the person hands over a toy box, in other version its laptop and shoe. 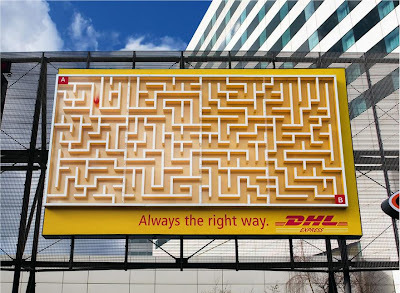 DHL - Maze: A huge three-dimensional billboard measuring 7 x 5 meters was installed directly in front of Schiphol Airport's main entrance, a small ball rolls from point A to B via the shortest route. 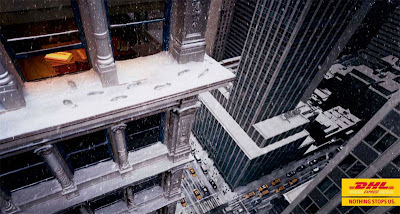 At the end of its journey, the ball is transported by an invisible conveyor belt within the billboard back to the top to repeat the process, along the same route, again and again. This was done to get the attention of business travelers at Schiphol Airport, where 11 million people pass through each year. 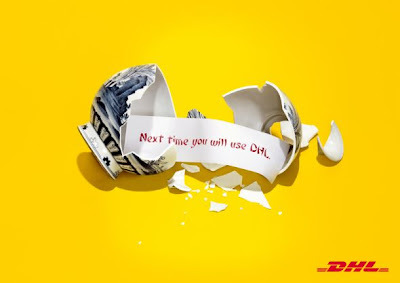 DHL - Fortune vase: 'Next time you will use DHL'. 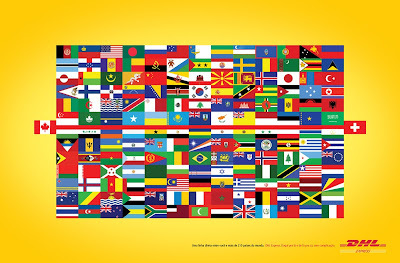 DHL- Small World: 'It's a small world'. 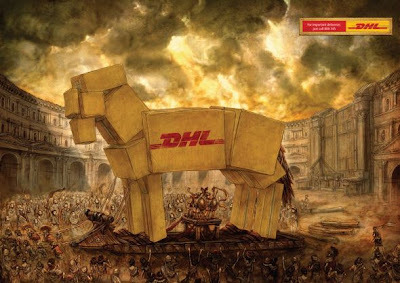 DHL - Determined: 'DHL express. Nothing stops us'.